Los Angeles Rams head coach Jeff Fisher, who recently received a two-year contract extension and couldn’t correctly name his opponent’s players this week, was soundly defeated by his coat during today’s game against the Patriots. 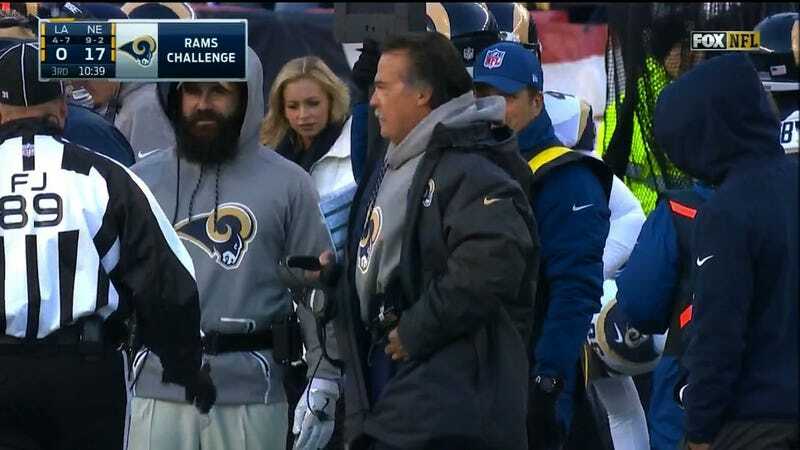 Fisher’s challenge was successful, and the Rams earned a first down. Who can say no to two more seasons of this? Jeff Fisher Is Ready To Face Patriots Running Backs "Brandon" And "Danny"